The camera used for the first TV broadcast awaits you.. with a pleasant surprise! 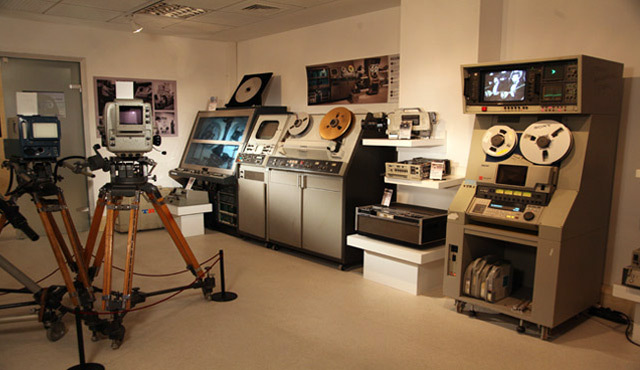 In this section many tools and gadgets used throughout the history of TV broadcasting from the first years to present day are on display. Come have a taste of our TV journey from B&W to colour as you walk through picture recording systems, cameras, editing equipment and many more.